Stay at one of the downtown hotels, visit Utah's Hogle Zoo, stroll through the arboretum and botanical garden at the Red Butte Garden, watch a spectacular ballet performance, plan a unique wedding, have a delicious breakfast, enjoy one of the free attractions, explore West Valley City, or get married at one of these unique wedding venues. For a quick tour of the city’s top attractions, board the Salt Lake Trolley. Best things to do in Salt Lake City, UT with kids include the Clark Planetarium, the Natural History Museum of Utah and Liberty Park. The Clark Planetarium provides a variety of opportunities for educational learning and entertainment within their multidimensional complex. A free hall of educational and interactive exhibits greets visitors, and it contains information on the solar system, space exploration, and planet Earth. Within the Hanson Dome, visitors can experience 360-degree immersed screenings of a variety of short educational films. Illustrating numerous space related topics like black holes, space travel, and astronauts, these videos are shown throughout the day. For another sensory experience, music coordinated lightshows are also available, featuring epic accompanying tunes. Dark Side of the Moon, Led Zeppelin, U2 and other artists provide the soundtracks for these exciting features. 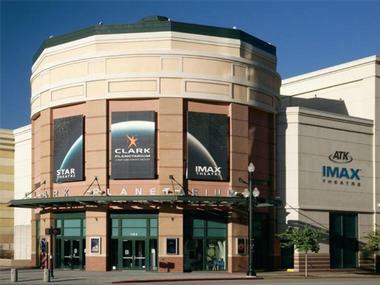 One of the best things to do in Salt Lake City with kids, the Planetarium also features an IMAX theatre, which screens a rotating selection of feature films. The Natural History Museum of Utah provides visitors with the opportunity to learn about the unique geography, earth science, history, and native cultures of Utah’s past. With 10 permanent exhibits, the museum provides both interpretive and interactive educational experiences to its many visitors. Exhibitions include Past Worlds of Utah, depicting the area’s progression over the past 500 million years and the Great Salt Lake, which provides interactive opportunities to touch, smell, and even taste the unique qualities of the epic lake. The First Peoples Exhibit reflects on the prehistoric populations that once lived in Utah, while the Native Voices segment illustrates the first five nations of Native American peoples in Utah. 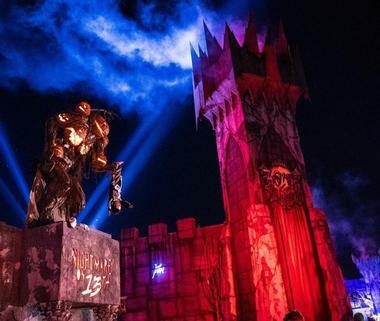 Six additional exhibits, along with varying seasonal displays, expand on additional topics. Red Butte Garden, open year round, is a popular outdoor center featuring a botanical garden, arboretum, and amphitheater at the base of the Wasatch Mountain Range. Sitting on over 100 acres of land, the garden houses several miles of trails for walking or jogging through the native vegetation, and the park showcases a variety of exhibits and attractions based on a seasonal schedule. Year round, the garden features numerous flora and fauna presentations, along with art exhibits and sculpture installations. Red Butte Garden is also host to a series of summer music concerts held within the amphitheater, and it offers guided tours, gardening classes, holiday specials, and educational programs. Housed on eight acres within Salt Lake City’s expansive and historical Liberty Park, Tracy Aviary offers visitors a chance to observe and learn about a diverse collection of birds and habitats. The aviary contains over 400 individual birds deriving from over 135 different species, and a significant percentage of these birds are considered endangered or rare. 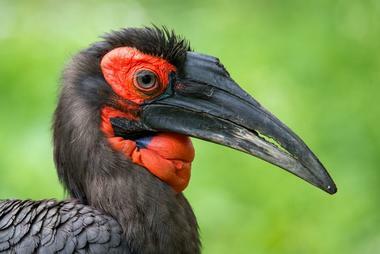 Visitors are able to view the birds in a variety of natural habitat and ecosystem exhibits. These exhibits include introductions and provide information on many exotic creatures like Chilean flamingos, macaws, and king vultures, along with insight into more recognizable breeds, like pelicans, North American eagles, and trumpeter swans. Salt Lake Trolley Tours provides visitors with a chance to experience some of Salt Lake’s most fundamental and sought after sights aboard a classic replica trolley. The bright red trolley cars follow a path through downtown, giving tour goers a comprehensive visual and educational experience of the history and significance of many of the city’s most significant buildings, monuments, and sites. This expansive, urban park provides year round recreational opportunities in the heart of Salt Lake’s lively Sugar House neighborhood. In the winter months, trails for snowshoeing, hills for sledding, and paths for cross-country skilling are available throughout the park’s 110 acres. 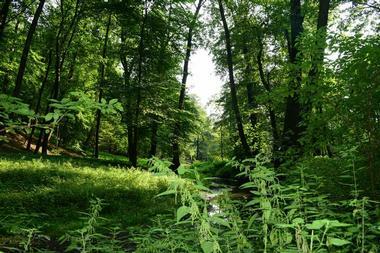 In warmer months, 1.8 miles of trails are open for walking, biking, or jogging through the green space. The park’s fountain pond, surrounded by lush green grass, sits against the backdrop of Utah’s expansive Wasatch Mountain Range. Picnic tables, covered pavilions, and children’s play areas are scattered throughout the park. Athletes will be happy to learn that the park contains baseball fields, soccer fields, seven volleyball fields, and a basketball court. 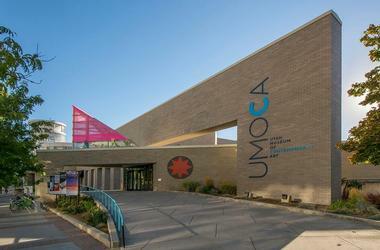 The Utah Museum of Contemporary Art (UMOCA) in Salt Lake City is the only contemporary art museum in Utah. Located in the heart of the city, the museum offers a range of rotating exhibitions in its six galleries, showing works by local, national, and international contemporary artists. The museum was founded in 1931 by Alta Rawlins Jensen under the name of the Art Barn Association. Her goal was to create an artists’ retreat where they could express and sell their art. The Art Barn quickly acquired a reputation as a respected art institution, showing the works of renowned artists from the country and abroad. The exhibition of a series of oil paintings by Vincent Van Gogh was one of the museum’s biggest successes. The museum currently occupies two floors and has six galleries and also has a number of spaces it rents out for various events – a courtyard, a lobby, a 155-seat auditorium, and several meeting rooms. There is an education studio, a number of artist-in-residence studios, and a shop selling a variety of works by local artists. 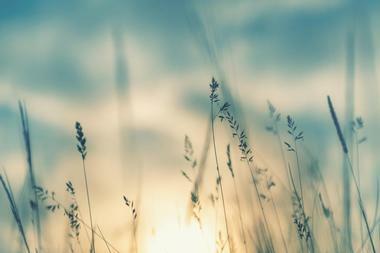 Liberty Park is Salt Lake City’s prized urban oasis featuring over 80 acres of lush green space. 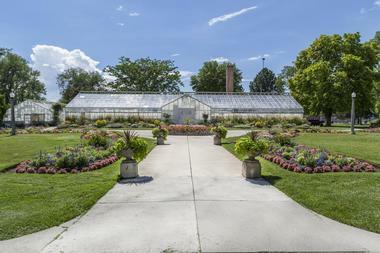 The oldest park in Salt Lake, Liberty Park was purchased by the city from the estate of Bingham Young in 1881, and in 1980 made the list of the National Registry of Historic Places. The park features a large pond containing two islands, numerous athletic courts and fields, 1.5 miles of walking trails, and several children’s play areas. Additionally, the Tracey Aviary, featuring 135 species of rare or endangered protected birds, resides within the park, along with the Isaac Chase Mill, the oldest commercial building in Utah. 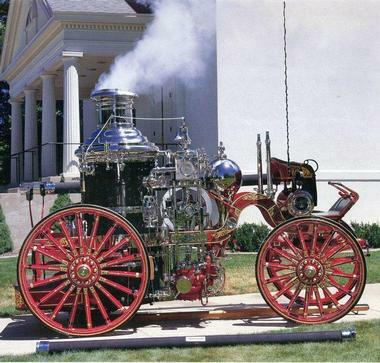 Finally, the park features the Chase Home Museum of Utah Folk Art, a free museum showcasing a variety of art forms. The awe-inspiring Temple Square stands out as the focal point of downtown Salt Lake City. Serving as the headquarters and epicenter of the LDS Church, Temple Square welcomes visitors of any background who are interested in viewing the exquisite architecture and learning more about the Mormon religion, history, and outreach programs. LDS volunteers from around the world staff the square and are able to provide visitors with information and even give them tours. Several other buildings are contained within the square, including popular destinations such as expansive museums and the Tabernacle, home of the well-known Salt Lake City Tabernacle Choir. The dome shaped auditorium is prized for its unique acoustic qualities, and visitors have the opportunity to take in some of the regular concerts, practices, and other musical activities and see the Choir in action. The Family History Library is located in downtown Salt Lake City, and it operates as a research facility for those undertaking genealogical pursuits. Open to the public and free of charge, the library is run by the Mormon Church as a facility for visitors to locate their ancestry within the databases. The library hosts classes and workshops that help participants understand how to utilize the facility, including the records, resources, and computer systems available. The library's records are so extensive that millions of people around the world are using it to research their ancestry. On site assistance is available in over 30 different languages. Aristo's is renowned for its superb Greek cuisine, which it serves for both lunch and dinner. Owned and operated by Aristo himself, the chef relies on his Cretan background to find inspiration for the restaurant’s flavorful dishes. Adhering to a fundamental belief in the excellence of Greek cuisine, Aristo maintains that local produce and a farm-to-table mentality is an essential quality of Mediterranean food. A premiere ballet academy of the Western United States, Ballet West is one of the United States’ fundamental dance institutions and one of the best things to do in Salt Lake City. Founded by the same individual who started the country’s first University based ballet department, Ballet West is an esteemed organization whose members are unbelievably talented. With several performances throughout the year, Ballet West posts an annual calendar online. Ballet West’s website provides information on upcoming performances, ticket purchasing options, and venue locations. Annual performances include The Nutcracker, and other shows include iconic classics, contemporary institutions, and pop culture favorites. 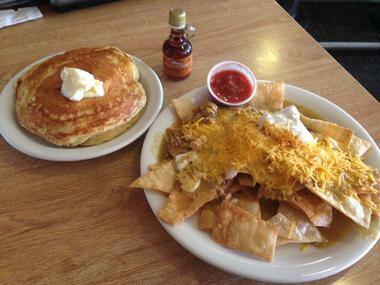 Often proclaimed as the premiere breakfast and lunch destination in Utah, Penny Ann's Cafe has two locations. The primary café is located downtown, while the second establishment resides south of the city in Sandy. Family owned and run, Penny Ann and her family are the reliable pillars of the restaurant. You can usually find someone from the family seating tables, while another busses tables, and yet another prepares meals in the kitchen. While there are separate menus for breakfast, lunch, and kid’s meals, they always include classic American favorites. Penny Ann’s Cafe maintains a casual and welcoming atmosphere in which guests feast upon delicious home cooked comfort food. Wheeler Historic Farm is an authentic family farm that once belonged to 20th century Utah settlers. Today, the farm functions as a living history museum and includes exhibits, demonstrations, and interactive activities to illustrate to visitors what life on the farm would have been like in the 1900’s. The farm produces small-scale crops using historical farming techniques for demonstration and interactive purposes. Activities are based on the season and demonstrate the authentic events that would have occurred on the farm at that time of year. Seasonal activities include apple and pumpkin picking in the fall, harvesting and canning in the winter, and planting and tending to fields in the spring and summer. Year round, livestock and farm animals are on site and wagon or sleigh rides are available. Open daily for lunch and dinner, along with weekend brunch, Porcupine Pub & Grille is a casual and community focused eatery. The restaurant sits in the shadows of the Wasatch Mountain Range at the mouth of the Big Cottonwood Canyon. Its location just outside of the city and at the base of a popular outdoor recreational area is ideal, and it appeals to city goers, families, and outdoors enthusiasts alike. 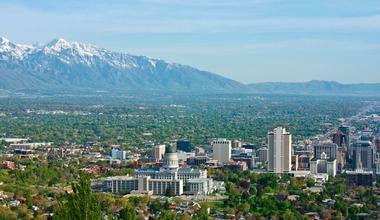 Next read: Parks near Salt Lake City, Best Time to Visit Salt Lake City, Utah & Other Travel Tips. The Pioneer Memorial Museum is known for housing the largest artifact collection pertaining to one specific subject in the world. The Pioneer Memorial Museum is dedicated to showcasing artifacts and exhibiting information that tells the story of the first white settlers in Utah. The museum contains a history department that is home to an extensive collection of information, written artifacts, and a historical photography section. 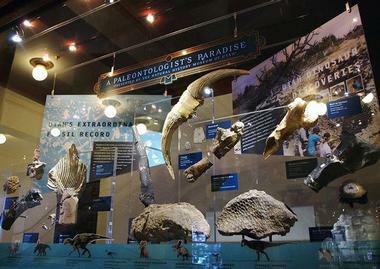 Additionally, the museum houses an expansive collection of memorabilia. The collection dates back to the first pioneers’ initial entrance into Salt Lake Valley until the introduction of railroads into the city, which occurred decades later. 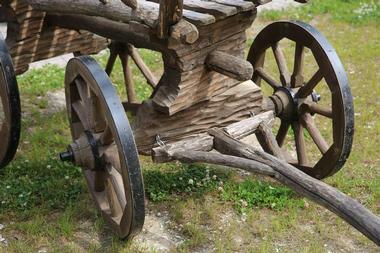 Artifact exhibits include a range of objects, varying from intricately detailed luxury items to large pieces of transportation and farming machinery. 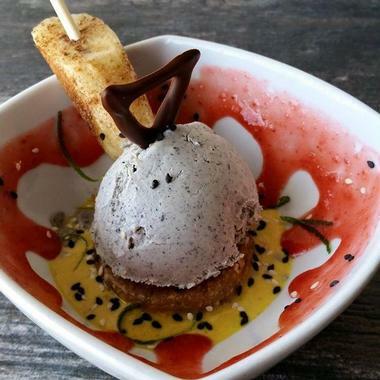 Featuring organic and trendy vegan and vegetarian fare, Zest Kitchen & Bar, well known for its tasty cocktails, is only open to adults over 21 years of age, an ordinance stipulated by Salt Lake City. Zest serves lunch and dinner and often features evening music. Its inviting environment and unique menu keep guests coming back time and again. Using seasonal, locally grown, organic ingredients, the dishes are a fresh, plant based, globally inspired array of vegetarian food. Zest’s menu also caters to gluten free, raw, and paleo based diets. Zest offers a full bar and serves innovative, in house creation cocktails that adhere to the same standard of quality as the restaurant’s superb cuisine. In the evening, the restaurant features a live DJ and gives diners access to the dance floor. Energetic and evocative, the restaurant exudes a relaxed yet refined vibe, and serves exquisitely designed plates that never disappoint. The Salt Lake City Public Library system is comprised of several branches throughout the urban and suburban areas of Salt Lake, and the main branch is located downtown. 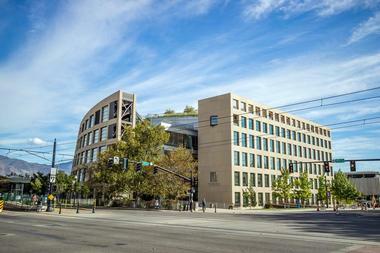 The building itself is significant, and contributes unique architectural diversity to the Salt Lake skyline. Five stories tall and described as being “wedge shaped,” the library is home to over 500,000 pieces of literature, along with 160 Internet accessible computers and numerous newspaper, magazine, and periodical features. A secluded children’s library offers a unique and creative space for children along with daily reading, singing, and activity sessions. A rooftop garden, complete with live greenery and a spacious seating area, offers additional lounge space for visitors. 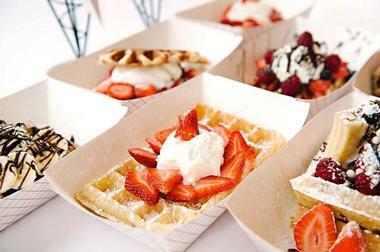 Bruges Waffles serves breakfast, lunch, and dinner from its flagship downtown Salt Lake City location. Two Belgian transplants, Pierre Vandamme and Philippe Wyffels, saw the opportunity to share a beloved family recipe with local Utahans, and so they opened their first waffle shop, a vending cart they pushed around downtown. Eventually, they opened Bruges Waffles, and today, the restaurant serves a variety of waffle-based meals, both savory and sweet, based on the authentic Belgian recipe. Bruges Waffles also offers authentic Belgian staples such as frites and Flemish stew, along with American classics, like a Belgian fusion hotdog and hamburger. The casual eatery offers counter service, and it features both indoor and outdoor seating options. You may also like: 8 Best Things to Do in West Valley City, Utah with Kids. 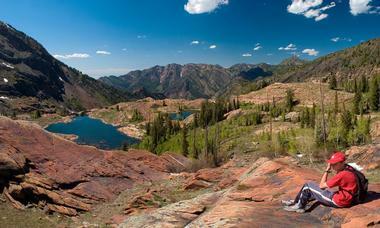 A simple, one mile round-trip hike leads to one of Salt Lake City’s finest view points. 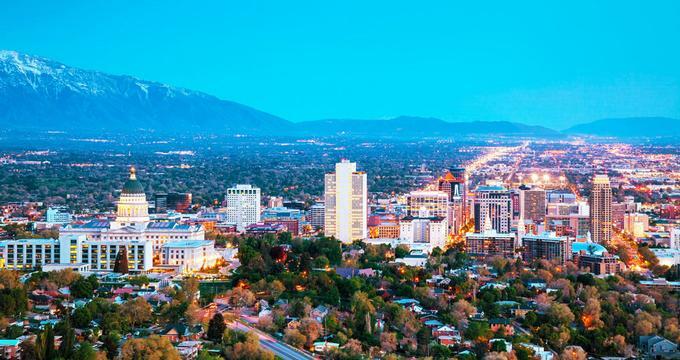 With soaring views that stretch past Salt Lake City’s Capitol building, across Salt Lake Valley, and reaching to the shores of Great Salt Lake itself, Ensign Peak provides a unique and breathtaking perspective of the surrounding area. Located along the famous 19th century route used to transport letters, messages, and other communication from Missouri to California, the Salt Lake City stop was an essential location for the Pony Express. Crossing through eight states, the historic Pony Express trail is still marked to this day, and modern travelers can follow the path with the advantage of interpretive signs, visitor centers, and historic museums guiding the way. To experience Salt Lake City’s involvement with the Pony Express, visit the National Park Services visitor center in town to pick up literature, maps, and suggestions to help you select a route to follow or stops along the trail to visit. Chow Truck is a local food truck that serves Asian haute cuisine for lunch and dinner (it closes for several hours in the afternoon). The best place to learn about Chow Truck’s current location is to check the schedule on their website each week. Dishes on the menu combine bold taste with varied textures creating unique California Asian fusion flavors. Menu choices vary, ranging from Asian style tacos to calamari fried with lemon and cilantro. The location of the truck changes daily and the food is served right out of the truck, so you will have to find your own seating on a bench on in a nearby park. Located just a few miles out of Salt Lake City at the base of the Wasatch Mountain Range, the 15-mile long Big Cottonwood Canyon provides year round opportunities for visitors to enjoy beautiful natural scenery and participate in outdoor sports. Known for an abundance of land for walking, hiking, and biking pursuits, there are numerous trails that wind their way throughout the canyon and past several beautiful lakes: Lake Blanche, Lake Mary and others. 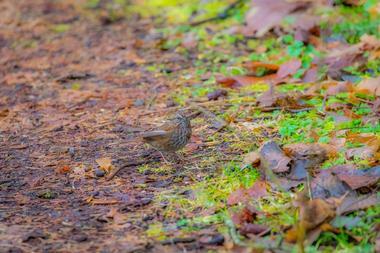 Additionally, visitors can find plenty of picnic sites along the trails and amid stops on the roadway. During colder months, snowshoeing, skiing, and other winter sports are common here. In the summer, visitors typically partake in fishing, camping, and watersports in and around the area’s alpine lakes and rivers.